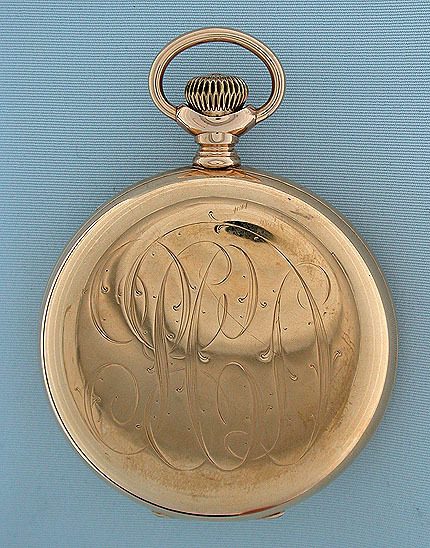 Fine 14K gold hunting case E. Howard & Co., Boston L size antique pocket watch circa 1894. 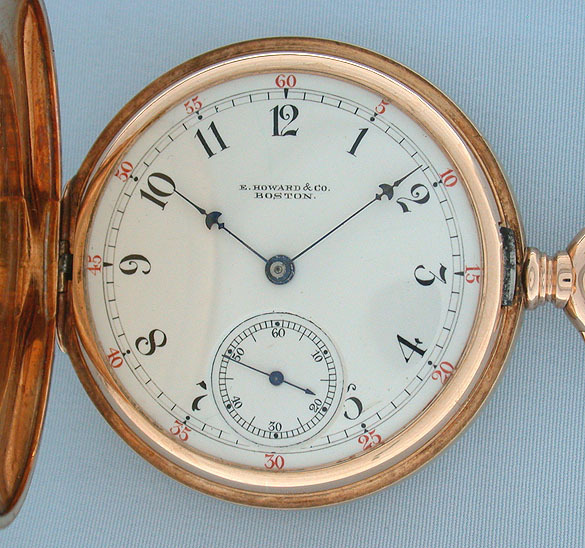 White enamel dial (camera reflection) with red and black numerals and blued steel Howard "umbrella" hands. 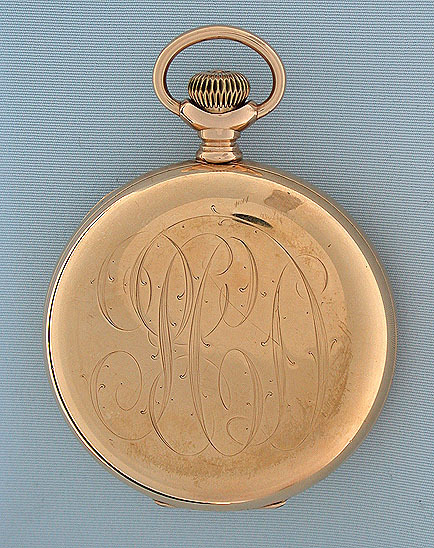 Original E.H.& Co. plain polish case with fancy monograms. 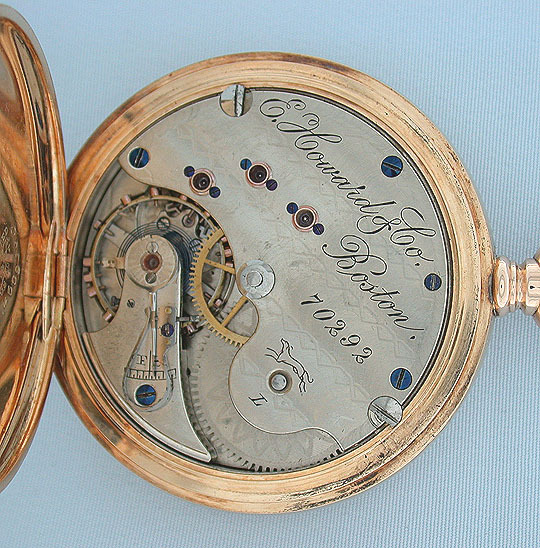 Nickel 15 jewel damascened movement with screwed gold jewel settings.